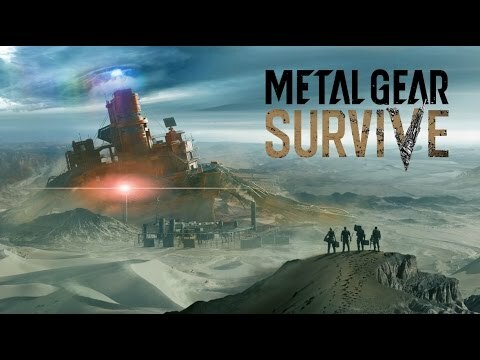 Struggle to stay alive - lone wolf or with friends - in an original spin-off from critically-acclaimed, stealth-action hit Metal Gear Solid V.
Jump into a standalone, action-survival adventure set within a mysterious alternative Metal Gear universe, where you'll craft, brawl and fortify your way to victory. Gather weapons, supplies and ammunition as you wage a strategic battle to hold key positions, erecting gun turrets and barricades to drive off deranged mutant hordes, before escaping with whatever loot you can gather. Once back at Base Camp, upgrade your weapons, set out against ever greater odds and do what it takes to find a path back home. Play alone or co-operatively. These two modes are linked via your Base Camp, meaning all character progress and gear carries between them. Build and develop your own Base Camp. Here you'll have access to weapons and gear crafting, as well as a command centre for planning and preparing for missions. Gather resources for use in crafting, including blue prints and raw materials. These can be gathered in single player by exploring the environment or won as rewards for successful co-op missions. Develop new facilities within your base camp to aid survival - these include crop growing, animal rearing and food and water storage. The more your camp develops, the more access you'll gain to high-grade crafting items and tools. Work together with up to three friends to infiltrate and reinforce key locations, scavenge crafting materials and drive out the enemy. 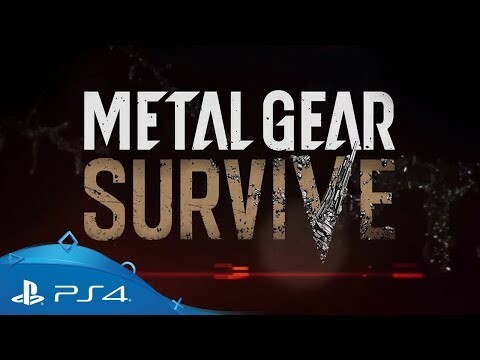 Buy Metal Gear Survive on PS4. Looking for great online co-op?